Games have been a part of the A Song of Ice and Fire licensing universe for a long time, starting in 2002 with Fantasy Flight Games and their award-winning A Game of Thrones collectible card game, followed by their A Game of Thrones board game. Since then there have been two different RPGs, two different computer games, a tactical tabletop game—and that’s just counting the A Song of Ice and Fire games; Game of Thrones has led to yet another computer game, board games, and more. After a bit of silence on the A Song of Ice and Fire gaming front, suddenly two exciting projects are advancing towards publication. 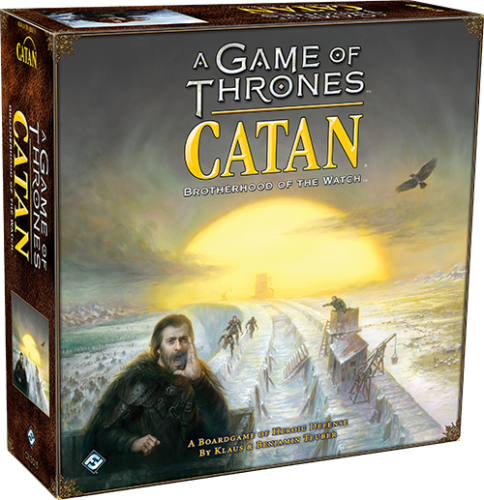 Earlier this month, Fantasy Flight Games announced that they were producing A Game of Thrones Catan: Brotherhood of the Watch, a Night’s Watch-themed take on the famed Settlers of Catan board game. 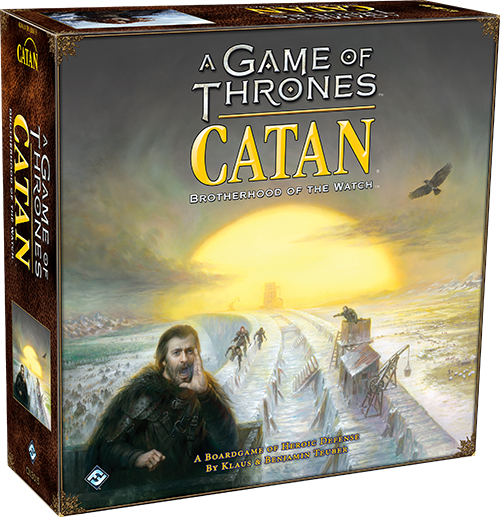 Their announcement features a great deal of art and some interesting details about how the game will differ from Settlers of Catan, making use of characters from the novels to confer special abilities or bonuses on players. According to Fantasy Flight, the game is due in Q4 2017. 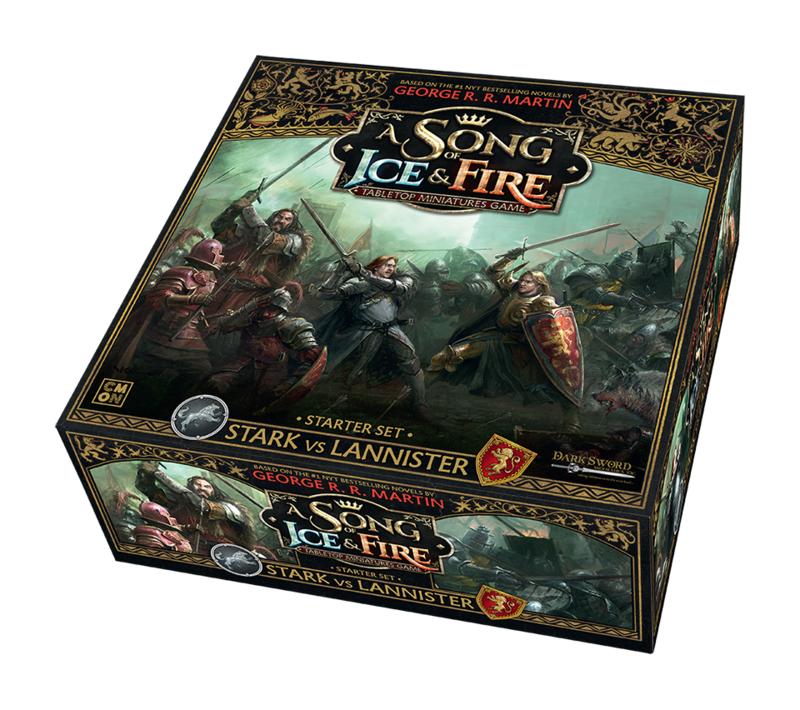 The other game, the A Song of Ice and Fire tactical miniatures games from CMON Limited and Dark Sword Miniatures, was first announced in March but is soon due to go up on Kickstarter before the end of the month. In the mean time, CMON has been posting a series of articles introducing the game, discussing its design, and more. CMON has also been sharing previews of art and 3D renders of the game’s miniatures, including “hero” characters like Cersei Lannister, Jaime Lannister, Sansa Stark, and Grey Wind. As a recent Polygon article notes, CMON’s last two Kickstarter efforts raised multiple millions of dollars, and they fully expect this game to do the same, not simply because of the name recognition of the license but also because the last game (Rising Sun) shares the same designer: Eric Lang, who years earlier designed that A Game of Thrones card game that lives on to this day.